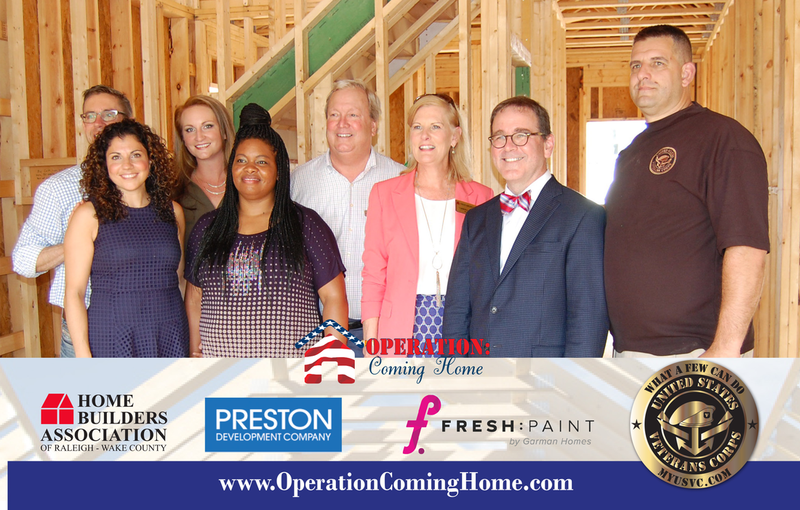 In October 2008, Operation Coming Home donated the first Hero Home to veteran Sgt. Joey Bozik, in the 16th Military Police Brigade based at Fort Bragg. Bozik was injured in 2004 when his Humvee hit a bomb south of Baghdad. Bozik sacrificed both legs and one arm in Iraq as a result of the roadside bomb. Joey and his wife Jayme moved into their new home on his “Alive Day” of October 27, 2008. As a member of the 2d AAV in Camp Lejeune, N.C., Sgt. Stanley A. Roberts U.S. Marine Corps, served three tours of duty in Iraq. During his last tour, he was injured by an improvised exploding device (IED) blast into his amphibious assault vehicle (AAV). This blast resulted in the loss of Sgt. Roberts’ right leg, injuries to his right arm and traumatic brain injury. Sgt. 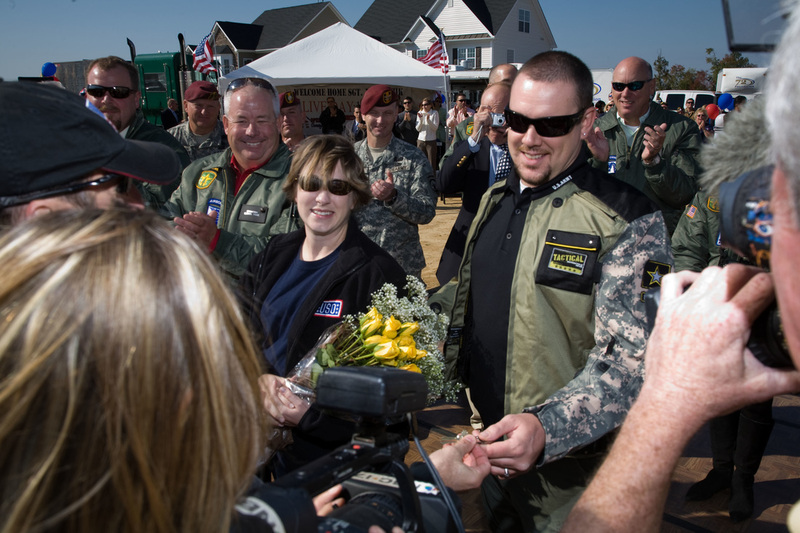 Roberts took ownership of his new Hero Home after a celebration on Nov. 4, 2010. Sgt. 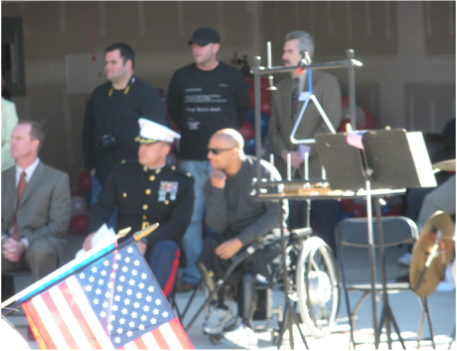 Carlos Evans, a U.S. Marine Corps veteran, and his family were the recipients of the third Hero Home on Dec. 2, 2011. Sgt. Evans joined the Marines in 2004 and has been deployed to combat areas four times, the first three to Iraq and the last one to Afghanistan. While in Afghanistan, Sgt. Evans was severely wounded by an improvised explosive device, losing both legs above the knee and his left hand. 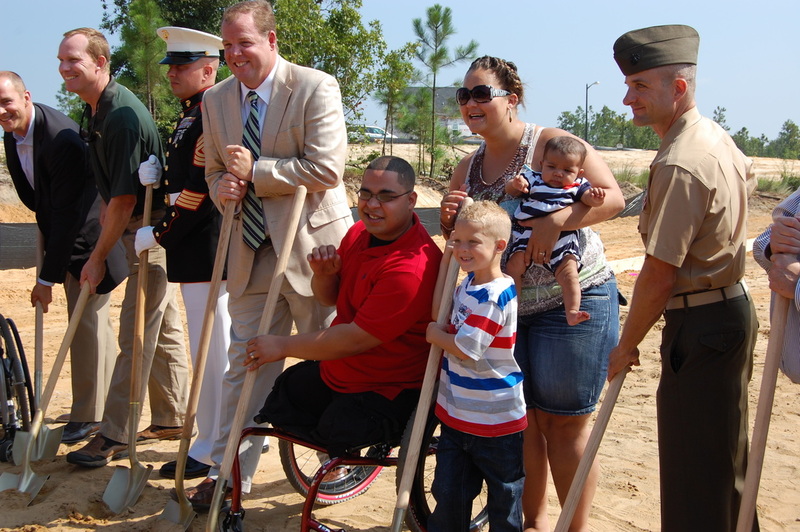 U.S. Marine Lance Corporal Richie Chavis was the recipient of OCH’s fourth Hero Home. Chavis, a member of 1/8 Weapons Company, 2 D Marine Division out of Camp Lejeune, lost both legs when he was severely injured by an Improvised Explosive Device in Afghanistan on Nov. 29, 2010. After that time, he was active in the Wounded Warrior Battalion-East, an organization dedicated to helping wounded, injured and ill Marines and their families throughout the recovery and transition process. Chavis was presented the keys to his new home on Dec. 10, 2012. 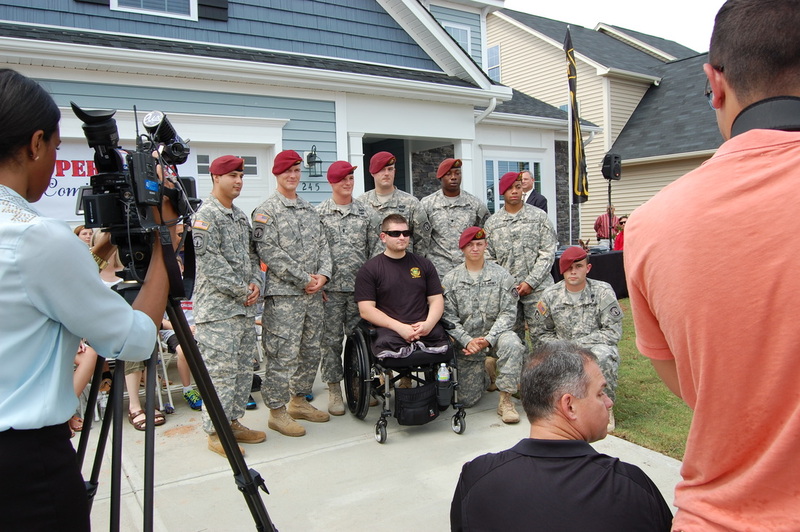 CPL Cody Stanton, an injured Raleigh soldier and specialist with the 21st Military Police Company based at Fort Bragg, was the recipient of the OCHs fifth Hero Home on June 27, 2013. Stanton was deployed with the 21st Military Police Co. from Fort Bragg’s XVIII Airborne Corps in November 2011. In January 2012, Stanton and his unit were training with Afghan police about three hours outside of Kandahar, Afghanistan, when he sustained severe injuries to both legs as the result of an IED explosion. Stanton was immediately sent to the Kandahar Airfield Hospital, where he received a Purple Heart prior to surgery. Since February 2012, Stanton had resided at Walter Reed National Military Medical Center in Bethesda, MD prior to receiving the keys to his new home. 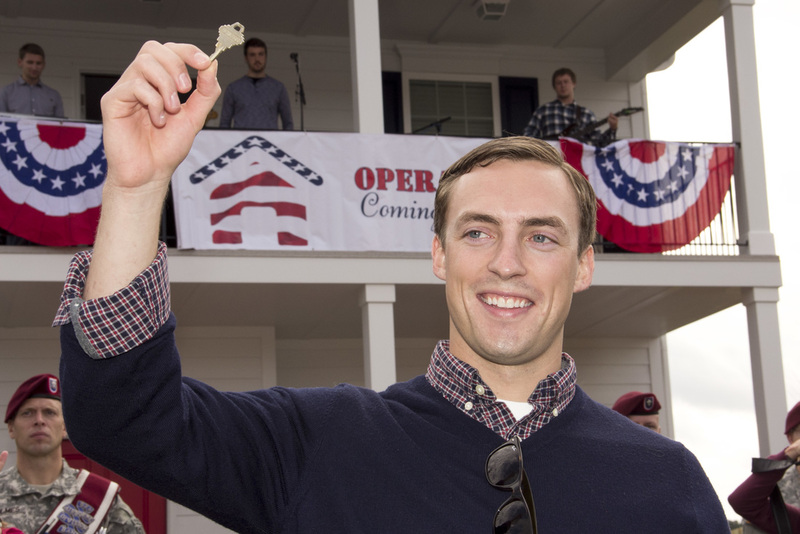 On Nov. 7, 2013, OCH presented the keys to its sixth Hero Home to U.S. Army Ranger 1st Lt. Nathan Rimpf, a Raleigh native and alumnus of East Carolina University and Leesville Road High School. Rimpf, a Purple Heart recipient was severely injured by an IED explosion while serving in the Anbar Province of Afghanistan, in July 2012. U.S. Army Staff Sgt. 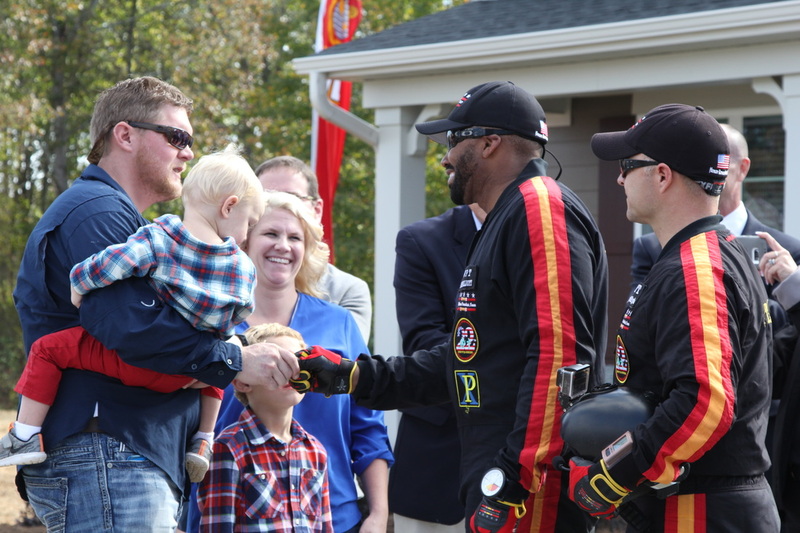 Oliver “Ollie” Hughes, a former contractor and Purple Heart recipient, received the keys to the seventh Hero Home on Thursday, April 10, 2014. Sgt. Hughes, was severely injured by an IED explosion while serving in Afghanistan in April 2011. ​The keys to the eighth Hero Home were presented to U.S. Marine Cpl. Nathan Jakubisin, a Purple Heart recipient, on Thursday, Sept. 11, 2014. Jakubisin, suffered severe leg and hand injuries from an improvised explosive device (IED) while conducting patrols in the Kajaki District of Helmand Province in Afghanistan on June 9, 2012. U.S. Marine Cpl. 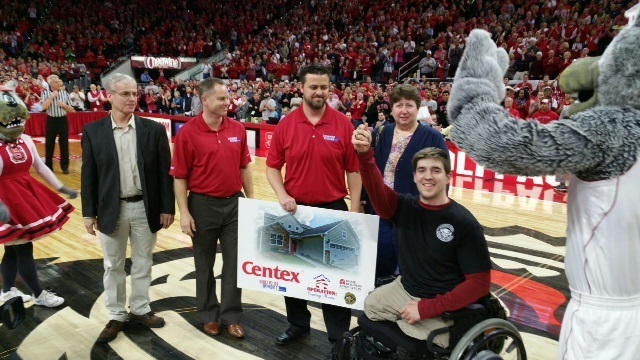 Ryan Wightman was presented with the keys to the ninth Hero Home. Held on Thursday, March 26, 2015 the ceremony honored Cpl. Wightman, who was injured by an improvised explosive device while trying to help a fallen Marine in the Helmand Province of Afghanistan on May 26, 2012. 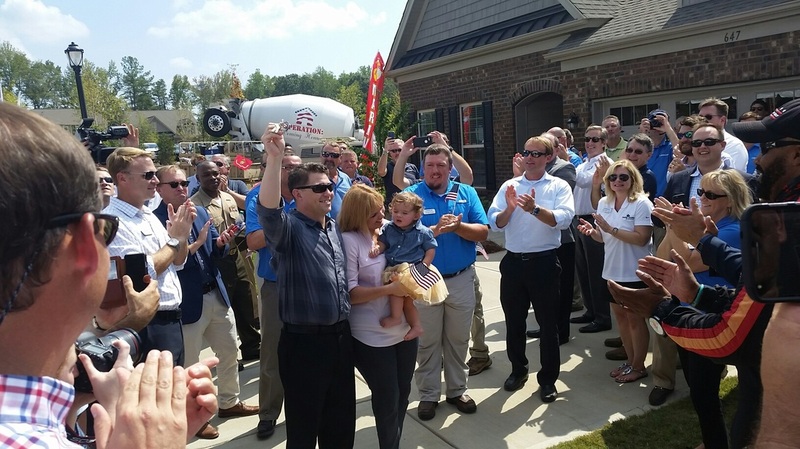 On June 25, 2015, the tenth Hero Home was given to U.S. Army Staff Sgt. Timothy Payne. Payne, enlisted in 2002, training at the Military Entrance Processing Station in Buffalo, N.Y. Upon completion of his training, he joined the 82nd Airborne Division at Fort Bragg in Fayetteville, North Carolina, and deployed to Iraq in support of Operation Iraqi Freedom. Staff Sgt. Payne was deployed three times, and was injured during a combat patrol in Afghanistan’s Kandahar Province, losing both legs and severely injuring his left hand. US Army veteran Sgt. Kyle Snyder will be eleventh Hero Home recipient of Operation Coming Home. Sgt. Snyder was wounded in service by a suicide bomber in Afghanistan. Snyder spent three years in and out of the hospital, including several months at Walter Reed National Military Medical Center in Bethesda, Md. 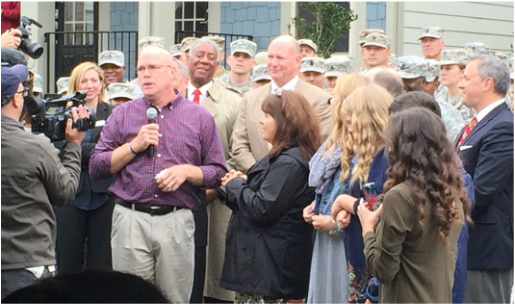 Snyder received the keys to his new home on Oct. 27, 2015. Sgt. Jimmion Clayton was wounded in Afghanistan, in 2012 by a suicide bomber while serving as a sergeant with the North Carolina Army National Guard in the 514th Military Police Company. He spent seven months in Afghanistan, with most of that time spent rehabilitating from shrapnel wounds incurred from the bombing that injured him and killed three other soldiers. This was the second home built for a North Carolina National Guard Soldier. Sgt. Clayton received the keys to his new home on May 20, 2016. U.S. Marine Corps Staff Sergeant Brandan Taylor was presented the keys to a new home on Thursday, October 27, 2016. SSGT Taylor served in the USMC for 10 years, eight of which he spent in the Marine Corps Forces, Special Operations Command as a Marine Raider. He served on seven official deployments during his term. During a raid in the winter of 2014, SSGT Taylor sustained severe back, spine and knee injuries that limited his ability to walk. U.S. Marine Staff Sergeant Khris DeCapua completed three tours of combat in Iraq and Afghanistan where his platoon was attacked by a suicide vehicle containing 600 pounds of explosives. The attack wounded 20 soldiers including DeCapua, and left him with PTSD, traumatic brain injuries and migraines. Sgt. 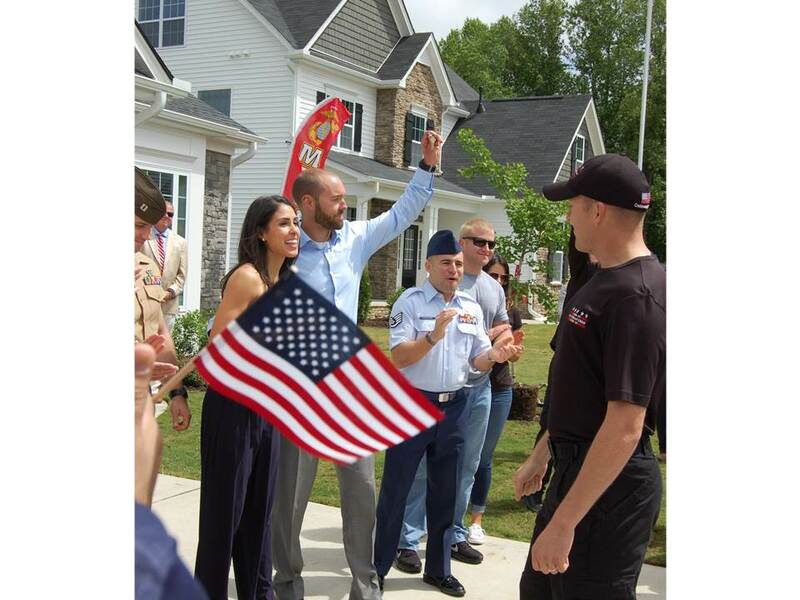 DeCapua’s received the keys to his new home, located in Fort Mill, S.C., on September 16, 2016. U.S. Marine Recon Sergeant (Sgt) Brandon Temple served in numerous deployments and has attended multiple advanced infantry schools. During his time as a Force Recon Marine, his vehicle hit an Improvised Explosive Device (IED). As a result, he suffered from a Traumatic Brain Injury (TBI) and sustained lacerations to his head, face and body. He later received a Purple Heart. Sgt. Temple and his wife received his new home on May 13, 2017. ​U.S. Army Sgt. Justin B. Onwordi was killed while in patrol on August, 2, 2004 (during Operation Iraqi Freedom) when an improvised explosive device detonated near his vehicle in Baghdad. 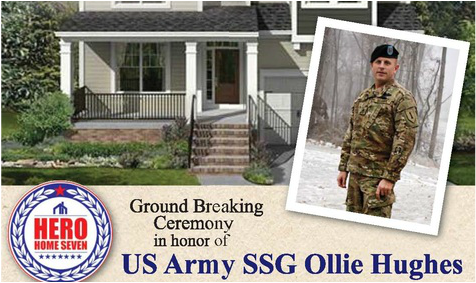 This is the first home that Operation Coming Home presented in memory of a fallen soldier. In addition, the home was woman built for another woman, Sgt. Onwordi’s wife, Monique. On November 9, 2017 the family of Sgt. 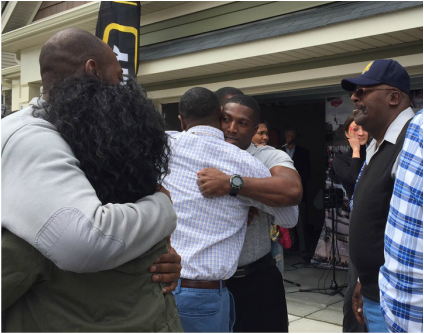 Justin B. Onwordi received the keys to their Hero Home. ​U.S. Army Sgt. Anthony Von Canon was Airborne and Air Assault qualified, assigned to the 4th Brigade Combat Team (Airborne) 25th Infantry Division. He deployed with this unit as an Interrogator, and was injured in 2010 during a rocket attack in the Khost Province, Afghanistan. He sustained injuries to his back, neck, and hip and exacerbated previous injuries incurred as a paratrooper. He currently has titanium rods in his leg and hip and is 100% disabled status by the VA.
OCH presented the keys to Sgt. Anthony Von Canon and his family on July 12, 2018. 2018 marks the 10th anniversary of Operation: Coming Home, and Cpl. Rogers’ home was the ninth home that was built and donated to wounded veterans by Royal Oaks Homes, now a division of Mattamy Homes. 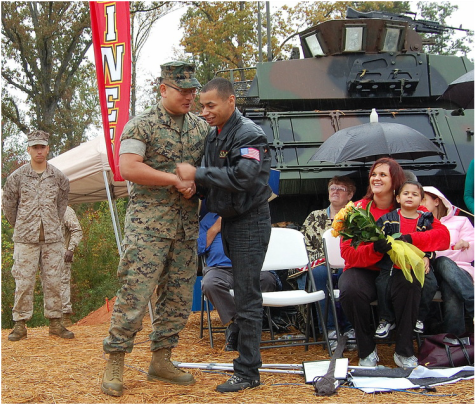 A Hero Home 18 celebration presented the keys for a new home on November 8, 2018 to U.S. Marine Corps Cpl. Nate Rogers. Cpl. Rogers served in the U.S. Marine Corps from 2002-2005, most of which was spent in the communications division as a radio operator with his twin brother Matt Rogers. During his second deployment while in Fallujah with Combat Logistics Battalion 8, Cpl. Rogers sustained traumatic brain injury, hearing loss, a back injury, and shrapnel wounds when his vehicle ran over an improvised explosive device. 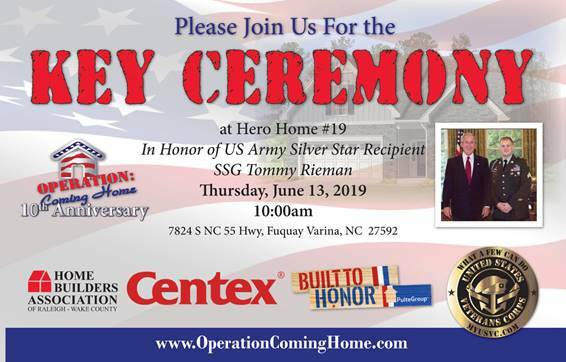 Hero Home 19 will be complete with a key ceremony planned for June 13 at 10am. Join us to welcome home Sgt. Tommy Rieman! To be considered for the Operation Coming Home Project, please complete and return the Hero Home Application.